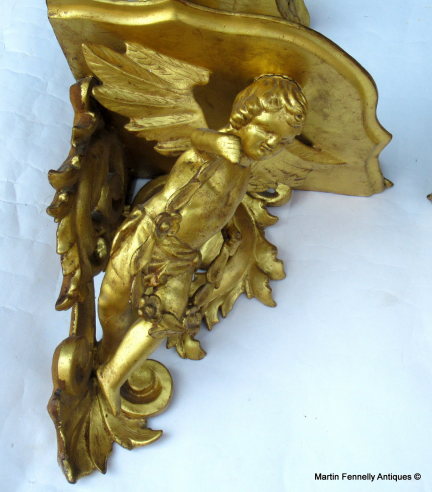 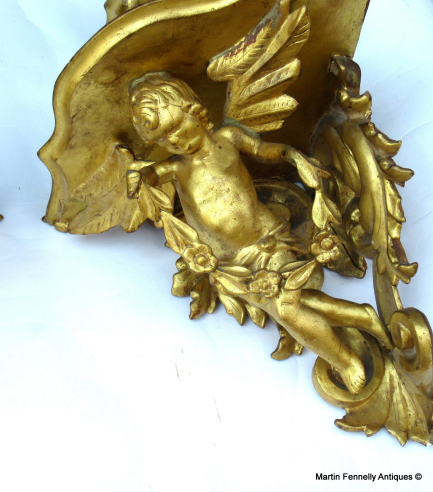 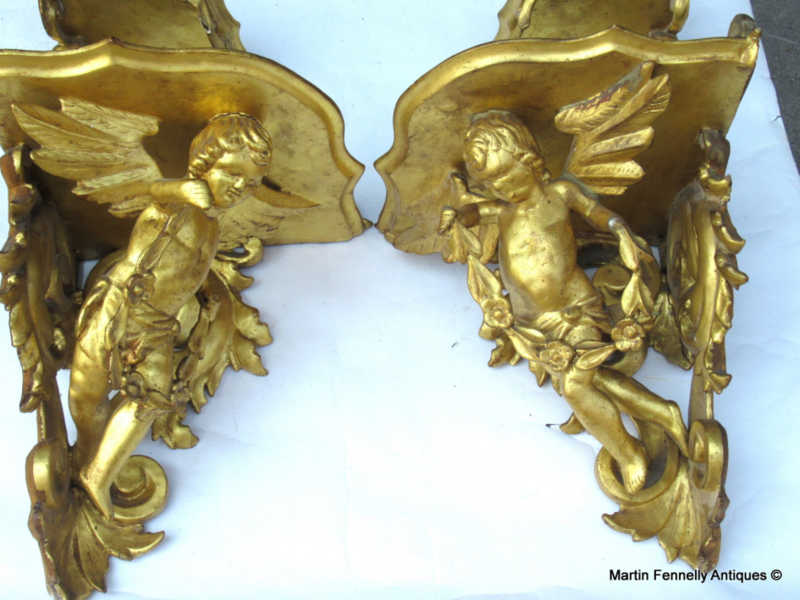 An Exceptionally Fine pair of French Baroque Cherubic Themed corrner brackets. 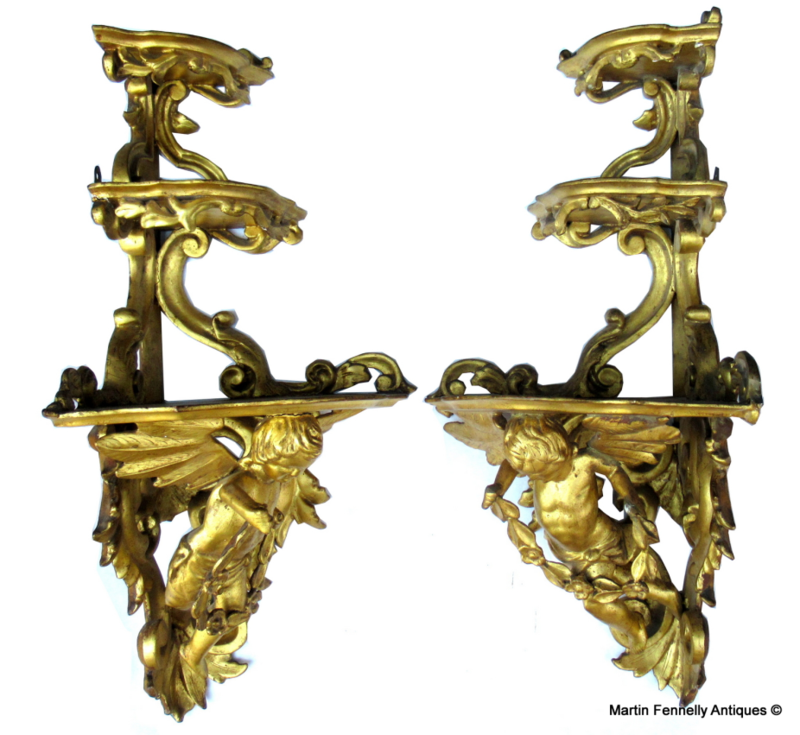 Water gilded with excellent patina with the gold subtly transparent showing its rich red bole, the brackets are rare both for their complexity and large size. The Triple shelved brackets are supported by winged Cherubs and have spent all their lives together. 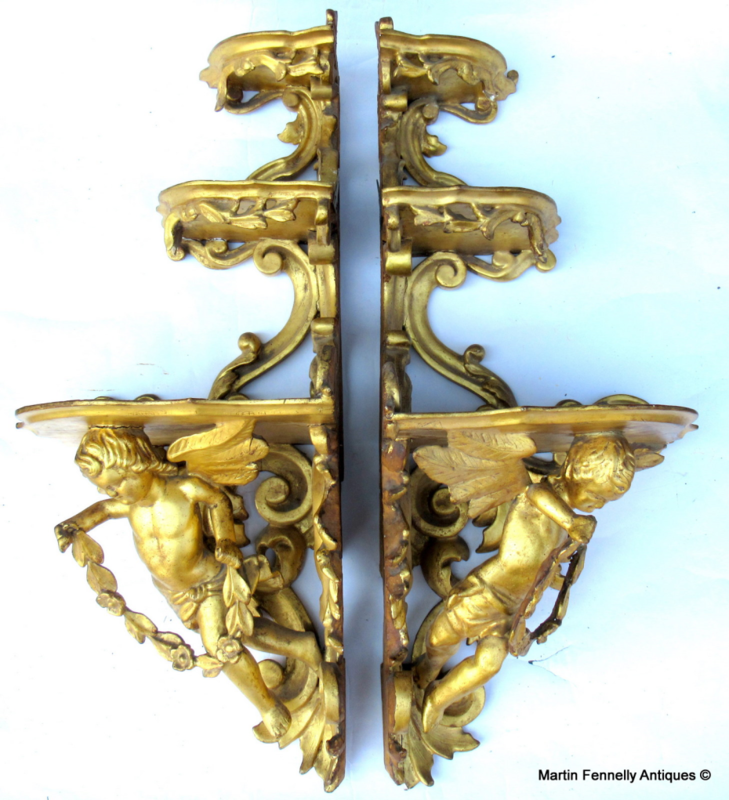 France, Circa 1790. Provenance Mitchells of Dublin and Wellington Road private House.